Candace Dare heard the knock on the outer office and knew that Warrant Officer Will Hutton would deal with it. When the two knocks sounded at her door, she was a bit surprised. “Come,” she said in her practiced military voice. A voice she used only when their were “guests” in her office. General Fitzhugh always preached precise military etiquette when an unknown visitor arrived. One never knew who they reported to. “By all means, Warrant Officer, send him in,” Dare replied. She did not like Agent Watkins at all. Their last meeting was particularly stressful. He wondered if he was going to be a pain again. The agent entered carrying a file. “Colonel Dare, nice to see you again,” he said with a smile extending his hand. Dare stood and shook his hand. “Agent Watkins, what brings you to the Pentagon?” she asked, pointing to a seat. “Flagged? By whom?” Dare was curious. Dare held out her hand to view the file. Watkins handed her the folder. “How is this possible?” Dare asked. “Every since we have been alerted to this application, we have been tracking Emily. We also looked into the background of a Svetlana Grobrotsky. She owns the restaurant where this matchmaking takes place. More than likely it with the employees of this bar that the students fall in love with. Emily has been seen frequenting the bar. Here is a photo we took.” Watkins pulled out another file, took a photo and slid it across the desk to Dare. She looked at the photo. Emily was in the photo talking to a young man. “What is with the man’s skin?” she said pointing to Emily’s companion. Dare leaned into her hands and sighed. She sat silent for several moments. “I guess I have no choice but to bring her home. I’d hate to ruin her life over this.” Dare reached for the phone. Emily worked hard during her first few months at MIT. She rarely ventured from campus, she was just too busy. She liked working with Clifford in the lab. He always talked about his girlfriend, Nadia. Emily knew she would have to find a contact soon, to help Clifford find a ring. She decided that she would not go home for Thanksgiving. By the time she arrived home, she would have to turn around again. She had no idea what she was going to do. She was sure something would come up. She left the lab, the Monday before Thanksgiving. She was bundled up in a warm coat with plenty of mufflers. The icy wind just whipped off the Charles River all over the campus. It was threatening to snow any minute. She climbed the stairs to her “ivory Tower” dorm room, well away from the boys. She and another girl shared the room. Both swore to protect the secrecy of the room. She turned the last corner and saw someone standing in front of her door. She froze. It was Svetlana. “Good evening, Emily,” Svetlana said. Emily was upset. She was afraid and then mad. Clifford must have told her how to get here. “Good evening, Miss Svetlana,” Emily answered. “You shouldn’t have to waste your whole day finding a diamond. I can call around,” Emily suggested. “I’m not sure I have enough money for lunch in New York,” Emily protested. “Be at my shop and 9am. Wear something warm and comfortable shoes – but no too comfortable,” Svetlana said with a wink. She waved and hurried down the stairs. A large black limousine was parked in front of Svetlana’s. White smoke poured from the exhaust. As Emily approached, Svetlana emerged from her place. “Ah, there you are!” Svetlana shouted from the curb with a smile. Svetlana was dressed to the nines. “What is this, our fifteenth year?” Leonid asked. “Please you are dating me!” Svetlana laughed. So did Leonid. The family bantering put Emily at ease. The trip was uneventful and would have been boring if Svetlana had not told her whole life story. It seemed her father was a young minister in the Tsar’s government. When things were going bad in Russia, he escaped with the thought of finding a way to get Nicholas out. He failed. Having no money or job, he came to America. He eventually started a restaurant in New York. He began to attract other Russian refugees. After he became successful he was married to a young Ukrainian emigrant, and started a family. Svetlana was his second child. “Does you father still run it?” Emily asked. Making it, Svetlana found out, was not all that there was to life. She explained that after World War Two, many Russian women were trying to escape. Most of the eligible men were killed in the war. They had no future. Of course the Soviet government tried to stop this. Svetlana explained how women that escaped were hired by her. She helped find them husbands, like Nadia and Clifford. She helped hopeless women find a new life. That is why she is glad to help find a ring for Clifford. Emily understood. She felt less nervous about Svetlana now and was glad she didn’t bother Colonel Dare with her “childish” fears. Arriving in New York, Leonid took them to the restaurant. It was a good time to have lunch. Natalia and Svetlana had a joyous reunion, hugging and kissing each other. Leonid left them there to start his own errands. They were to meet at 5pm at 5th and 47th streets, the Diamond District. The lunch was magnificent. Emily tried things she never would before. Svetlana had several glasses of vodka, and allowed Emily to take a sip. Natalia and Svetlana laughed at her reaction. The left the restaurant and walked to the Diamond District. Svetlana stopped frequently and looked in the windows of the stores lining the streets. Emily was stunned by the Diamond District. The stores with windows and windows of huge diamonds overwhelmed her, with all the bright lights and intense sparkle. She just followed Svetlana as she led. They finally stopped at one place. Svetlana walked into the place and asked for Victor. The man at the counter tilted his head to the back of the room. Svetlana went to a door and buzzed. The door was opened by a big burly man. He nodded to Svetlana and Emily, his eyes opening at her green color. Svetlana walked down the hallway and found the small door with Victor’s name on it. She knocked. “Come,” was the terse reply. Svetlana walked in with Emily following. “Svetlana!” Victor jumped from his desk. He hugged and kissed both cheeks. He shook Emily’s hand. “This is Emily,” Svetlana said. “She is here to help me find an engagement ring for her friend. “Is this for you?” Victor asked Emily. Emily stared at all the diamonds. Victor handed her a pair of tweezers. Emily picked one up. She stared at it. Amazingly, she could she all the little things inside. She asked Victor what they were. Victor took it and examined it. “This is clearly the finest one in this size I have. What is the young man’s budget?” he asked Svetlana. “Around one thousand dollars,” Svetlana answered. “Is that the best we can do, Victor?” Svetlana haggled. The negotiation went on for several minutes. At last they settled on a price, which was closer to what Svetlana wanted to pay. Victor took the diamond and left to have to set. Svetlana had a ring that Nadia “misplaced” to get the size. A knock a few minutes later altered the three that the cutter was here. “Come,” Victor said in his gruff voice. Emily stood and turned to face him. She nearly fainted when she saw him and had to grab the chair back to steady herself. Emily left Svetlana’s. The cold night air did not distract her as her mind replayed the conversation. Svetlana definitely spent the conversation fishing for information. Emily tried to give minimal answers. She thought about calling Candace Dare. Probably not, she reasoned. There was nothing to say. Emily felt that maybe she was a little freaked out about Svetlana being Russian. Of course, Svetlana explained that her family escaped the revolution and found their way to America. Svetlana told Emily how she hated the communists and how they ruined Russia, not that she was there to see it firsthand. The revolution was before Svetlana was born. Emily thought it best to stay away for Svetlana’s for a while. Svetlana watched Emily leave. Foolish child, she thought. I will soon find about your secret. She sent a message marked “Top Priority” to her commander, Colonel Andrei Segoyan, head of her section of the GRU. Svetlana, whose real name was Major Iliana Skorchital, requested all the resources available to deal with this mystery. Major Skorchital explained that this child may hold the key of the United States’ modifying of a human. Research was needed to make sure that a whole new breed of Americans did not have a greater capacity that that of the average Soviet citizen. Emily spent the next couple of weeks with her work and helping out at the lab with Clifford. Emily must have helped their relationship, since Clifford always tried to leave earlier to be with Nadia. Once Clifford brought up the subject of finding a ring for Nadia, Emily knew she would have to find a “connection” in the diamond business. She felt she could put that off until after Christmas, maybe before spring break, she could find a source by then. Her schedule was intense, she hoped it would settle down soon. The coffee shop was closed when the three men banged on the door. They were admitted by Svetlana’s staff. They headed directly to the office in the back, nobody dared stop them. Svetlana looked up at the sound of the knock. Before she could respond the door opened and the three men walked in. she recognized the older one. She jumped to her feet. “Comrade Colonel Segoyan, it is a great honor,” Svetlana stammered. The Colonel rarely made trips to the US. He mostly worked out of Canada, with occasional “diplomatic” trips to the United Nations. “Major Skorchital, I assure you, the honor is all mine,” Andrei Segoyan said taking Svetlana’s hand. The Colonel nodded. One of the men went outside and closed the door, the other stood with the door at his back. The Colonel indicated that Svetlana should sit. She did so, he joined her. ‘Yes. Thank you for reminding me,” the Colonel said. He looked to the soldier by the door and nodded. The young man reached into his coat and pulled out a file. The Colonel took it. The Colonel stood to leave. Svetlana stood with him. An idea hit her. Emily began to settle into the college routine. The first few days were the worst. The work was not too hard for her. In fact, she was one of the few that actually worked ahead. Her roommate, Barbara, was glad that Emily had a brain. She told Emily that most people were lost the first week and after that things settled down. Professor Mortenson assigned Emily as an assistant to Clifford Lane. Clifford Lane was Professor Mortenson’s Teacher’s Assistant for the last three years. Emily would replace him after he graduated at the end of the year. Emily sensed that Clifford was a little perturbed. She wondered if it was because a) she was a girl or b) she was his replacement. Every Tuesday evening, they worked in the lab. Clifford had to compile notes and results for the week’s work. Emily, of, course had to help. “What is it, Clifford, a or b?” Emily asked. “Huh?” Clifford looked up from his work. “A or b?” Emily repeated. Clifford thought about it for a moment. “C,” he answered. “Are you going the be angry all year?” Emily asked. When the two were finished, they walked to Svetlana’s. Emily felt the chill in the air. She shivered. “I’m glad I wore my sweater, I’ll have to get my heavier jacket soon,” Emily replied. The walk seemed forever. The bar was located on the far side of the campus from Professor Mortenson’s lab. Emily peeked at the “Ivory Tower” and hoped her roommate was spying on her. The room was dark, which meant Barbara was away. She was very involved in campus life. The flashing neon light brought Emily’s attention back to reality. The sign said “Svetlana’s” in bright red letters. The place looked nice enough, but Emily knew her mother wouldn’t approve. It’s all for a good cause, Mom, Emily thought. Clifford pulled the door open for Emily. The room felt comfortably warm. The layer of smoke hung just above Emily’s eye level. The light was muted. All conversation stopped when Emily walked in. The silence annoyed and embarrassed Clifford. He looked around at the staring faces. “This is Emily,” he announced and directed her to a booth. “Sorry about that, Emily,” he told her after she sat. Clifford decided to find Nadia. Emily sat in the booth. She looked around and would occasionally find someone staring at her. She smiled back, and sometimes waved. The other person would quickly turn a way. Emily thought it was funny. Clifford came back with a tall woman dressed as a waitress. Her long black hair was tied in a bun. Her eyes at first were very defensive and then turned to surprise. Nadia stood looking a little dazed. Her hand slowly came out and shook Emily’s. “Anyway, nice meeting you,” Emily said holding out her hand. Nadia returned the handshake. Emily held her hand and turned it. Nadia looked confused. Emily watched Nadia drag Clifford away. Where am I going to find an uncle in the diamond business? She wondered. She stood to leave. “Emily Rogers, I believe?” A heavily Russian accented voice asked. Emily turned and was face to face with a tall 30ish woman with long blond hair. She held in one hand a long silver cigarette holder with a long smoking cigarette. “Yes,” Emily said feeling off-balanced. “I am Svetlana Dvernich,” the woman said. Emily felt Svetlana gently push her in the booth. Svetlana sat opposite her. Svetlana snapped her fingers and a waiter brought a pot with two fine porcelain cups. Svetlana leaned over the table and poured the tea. It was a strong black tea, Emily noted. “Now, Emily. Tell me about yourself.” Svetlana asked with a sickening sweet smile. Emily reported to Dr. James Mortenson, the man who accepted her into the school after her bizarre interview with the board. He was happy to see her. “Miss Rogers, I’m glad that you are here. Classes will begin in just a couple of days. How were your tests?” Dr. Mortenson asked. “Did you get any results?” Emily asked. “Yes, sir,” Lane said sheepishly. “Mr. Lane, you will really need to address your memo reading skills. Thankfully, you have been here long enough that I know how to deal with the issue. Here is another copy.” He handed a paper to Clifford. “Thank you, Mr. Lane. Miss Rogers, your effects have already been delivered. Your schedule will be posted on your personal bulletin board.” Dr. Mortenson extended his hand and shook Emily’s. Clifford Lane did not say a word as he directed Emily to her room. By the third set of turns, Emily was already lost. They at last reached a building near the edge of the campus. Entering, the found the staircase and climbed several levels of stairs. Afters the stairs were several twists and turns down richly paneled hallways. The finally stopped at a door, marked with the number, “467.” Lane knocked. “Come in,” a feminine voice called. Emily walked into the room. In one corner lay two swords and a bow – not a play one. Otherwise the room was neat as a pin. A young woman bounded in the room from a tiny hallway. “The Ivory Tower?” Emily asked. The young woman giggled. “That at least is what I call it. They hadn’t planned on having women attend this particular college. So they throw us in the tallest structure they could find. Reminds me of Rapunzel.” The young woman was rather animated Emily thought. “I’m Emily Rogers,” Emily replied. Barbara stopped and stared at the strength of Emily’s response. She smiled. Emily nodded for Barbara to continue. Clifford Lane hiked from the campus to his favorite place on Athenaeum Street. 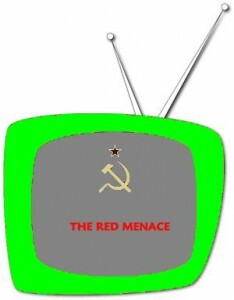 The neon sign blazed “Svetlana’s” in bright red letters. His girlfriend Nadia worked there and would be off in a couple of hours. He entered the bar. Looking around he couldn’t see Nadia through the drifted cloud of smoke. He was glad he never took up the habit, but wasn’t particularly bothered by it either. He saw the owner, Svetlana, sitting at the end of the bar. He walked over to say Hello. “Miss Svetlana, how are you tonight?” He asked. “Hello, Clifford. Nadia has been waiting for you to show up, she was getting a little anxious,” Svetlana replied in her thick Russian accent. She once told Clifford of how her family escaped the communists and worked their way across Europe. They finally made it to America. “What do you mean, Clifford?” Svetlana’s ear perked up. “’They’re?’ Who is ‘they’re?’” Svetlana asked. Svetlana nodded. When Clifford turned to Nadia, Svetlana wrote Emily Rogers on a napkin. She walked to the storeroom. One of her men was moving cases of beer. “Da, Comrade Major,” the man replied. Channel 37 would like to thank the many entrants to our “We’re Stuck” Contest. We hope you had as much fun as we did. The winners were as you can see: Mr. Clifford Lane and Ms. Barbara Jackson Jewell. They will both receive an e-book of this story when it’s completed. Watch for more contests in the future! This week’s episode is all scripted, planning and blocked for action. We at Channel 37 are stuck with one small element. We can’t think of names for two of our characters. Now one would think that an organization like Channel 37, with a parent company like Greyrock Publishing would have no problem think of character names. But, nonetheless, we are stuck. So, we have thought long and hard about a solution (although with the level of energy put into this, one would think we could come up with a name). Here it is. One of the characters is female and a new friend of Emily Rogers. This does not mean that only college ages students should apply. Remember, the story takes place in the 50’s (not that you have to be in your 80’s to apply). We are a fiction company. The other character is a male Teacher’s Assistant (TA). This character ultimately introduces Emily to The Red Menace. Hope to see you all at Balticon! 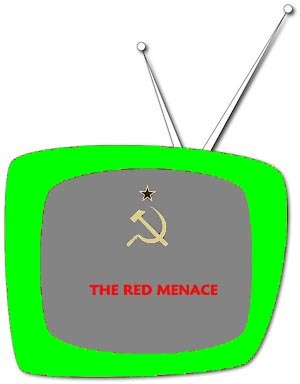 Posted in The Red Menace	| Comments Off on We’re Stuck! In our last episode, Candace Dare and Emily Rogers (The Green Girl) with Emily’s parents arrive at MIT. They are there to meet with the Admissions Board in hopes of attending. Emily wanted to demonstrate her “special abilities: and had Candace Dare shoot her. The admissions board stared in horror at the demonstration. The board erupted as one. “How dare you…” the Dean tried to say. “Horace, wait!” the old curmudgeon James interrupted. “James, please, I know you are incensed, but…” the Dean tried to speak. “Give me a moment, Horace.” James turned to Emily. Dare remained silent to the old professor’s accusations. Emily did not ask Dare for permission. She modestly pulled her blouse out of her skirt. The professor examined the spot. Her skin tone was a darker green at the impact point, with a spidery image around the impact point. “Fascinating,” the old man whispered. He paused. “Yes, he’s my uncle,” Emily said before Dare could stop her. “And they are?” Horace asked. “Professor, she has been tested,” Dare said. “You would share these findings with the Army?” Dare asked. “Which is?” The Dean asked. “But the Army is willing to pay,” Horace objected. The old man glared at Dare. “I will tell you, Colonel, and then we will never speak of this again. I was trained in the finest universities in Europe. I attended colleges in Berlin and in Paris. That was before the Nazis came. Then I was hunted like a dog, and forced to leave my home. Most of my family was slain. I was able to find a position here in America. “I understand,” Candace Dare replied. Candace Dare took a deep breath. “After I graduated from nursing school, I was given a month before I had to report to the Army. I visited my grandmother in Paris. Two week later, the Nazis invaded. My grandmother was killed. I was taken by the Nazis and forced to work in a hospital with wounded German soldiers. I was locked in a small room every night to rest. “They brought in a prisoner one day. He was from the French underground. I was assigned to him. He had some high importance to the organization. The Underground staged a daring raid and I was rescued. I worked for the Underground, destroying nazi bases, saving who I could and killing German officers. We fought the Germans until my group was destroyed, killing my fiancée. “Does that mean we will accept the army’s money?” Horace asked. “No!” Dare and the professor answered in unison. Emily laughed, wiping the tears from her eyes after hearing Candace’s story. “Quite so, Miss Rogers. You will not leave here until you earned your Doctorate. Are you sure you are up to the task? “I am, Professor. How can I ever thank you?” Emily stammered. The plane touched down on the damp runway. The four turboprops kicked a fog of vapor. The plane, a dull olive drab bearing military markings tuned to the taxi lane. As the plane came to a stop near a hangar, a matching olive drab limousine, complete with a bright white star and stenciled serial numbers squeaked to a stop. The car waited until the engines quieted and a rolling stairway was pushed to the door of the aircraft. The driver of the vehicle stepped out of the car and immediately went to the passenger door. He opened the door and saluted. A spiked high heel, followed by a smartly dressed, uniformed woman rose from the car. She wore a dark raincoat covering any identification. The symbol on her hat marked her as a lieutenant colonel. She watched as the door to the plane opened. A man dressed in a business suit stepped from the door of the plane. He paused and helped another woman, his wife. Arm in arm, they carefully climbed down the metallic steps. A young woman, dressed in a light yellow raincoat followed the couple. Her green skin contrasted sharply with the drabness of the plane and the day. The colonel walked to the plane. “Mr. and Mrs. Rodgers, I trust you had a good flight?” she asked the couple. “It was a little rough at the end, Colonel Dare. But it was fine nonetheless,” Mr. Rogers replied. The young woman came to the colonel and gave her a hug. “I am a little nervous, Colonel Dare,” Emily answered. Soldiers from the plane loaded the Rogers luggage into the car’s trunk. The spring drizzle continued to fall. “Come, let’s get in the car where it’s dry,” Colonel Dare suggested. The car was equipped with double seats. The Rogers sat opposite Colonel Dare, who sat next the Emily. “After they load the car we’ll go the hospitality room where you call can freshen up before out meeting,” Colonel Dare explained. “Don’t we need to check into our hotel first?” Mr. Rogers asked. “What do you really think of our chances, Colonel Dare?” Mrs. Rogers asked. “I hate that!” Emily fumed. “If it gets down to it, Candace, just shoot me,” Emily suggested. After the brief rest stop, the car head to the campus of the Massachusetts Institute of Technology. The car stopped in front of the main administration building. The driver opened the door. “A pleasure, ma’am,” the sergeant said with a snappy salute. They entered the building. Candace’s Dare footsteps resounded throughout the marbled halls. A receptionist appeared, obviously startled by the noise. “My I help you?” she asked. “We have a meeting with the Dean of Admissions,” Dare answered. When the receptionist left, Dare looked to Emily. “Don’t act like you’re nervous,” she whispered. “But I am,” Emily whispered back. Emily’s parents stared at all the trophies in cases, most for scientific achievements. Numerous portraits hung in the hallway. The wait seemed long. “What’s taking so long?” Emily asked. The receptionist finally reappeared. “Please follow me,” she said without any emotion. The group followed through the twists and turns of the building. Each hallway was constructed much like the previous one. The portraits, although different, had the same dour looks from unsmiling former instructors, presidents, or notable students. The receptionist knocked three times on the nondescript door. A muted “Come” was issued from within the room. The receptionist opened the door and motioned the part inside. The room was spacious. This floor was wood, very high polished. The walls were lined with books and more portraits, mostly of ancient scientists. The front of the room was a long wooden polished table. The table was slightly raised. Behind the table sat five people. None seemed pleased to be in attendance. The person in the center indicated for small wooden chairs that the party should occupy. When the party was settled, the five opened folders, almost in unison. It was then that the five actually looked at Emily. They appeared to be startled. “Are you attempting to make a statement, Miss Rogers?” the Dean asked. “What type of accident, Miss Rogers?” the man pressed. “Perhaps we should do so,” James grumbled. “Would not a true leader be able to focus past and type of distraction?” Emily replied adding “Sir” after a small pause. The members of the board huddled and whispered to one another. There were many smiles. It seemed they were mocking Emily. “I hardly think that would be appropriate, Mr. Rogers,” Dare answered. “Would it prove her ability to stay safe?” Horace asked. “Yes, but…” Dare tried to respond. “Less than ten seconds,” Emily answered. Dare rose reluctantly from her chair. She walked to the opposing side of the room and sighed. Dare hesitated. She looked at the board and saw nothing but complacency. She knew Emily was right. This would shake them up. She unbuttoned her holster, raised her luger and fired at Emily. Emily yelped at the impact. The faces of the board members registered shock. Dare wanted to smile. All eyes went to Emily. She fumbled with the impact site, pulled out the bullet and placed it in front of the dean. The smell of cordite hung in the room.